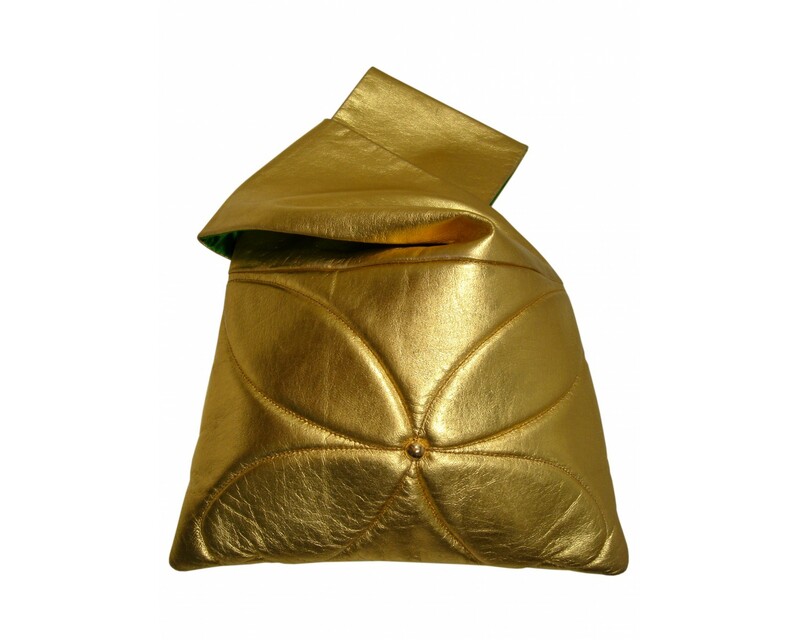 This is an alluring addition to the Geisha bag family. 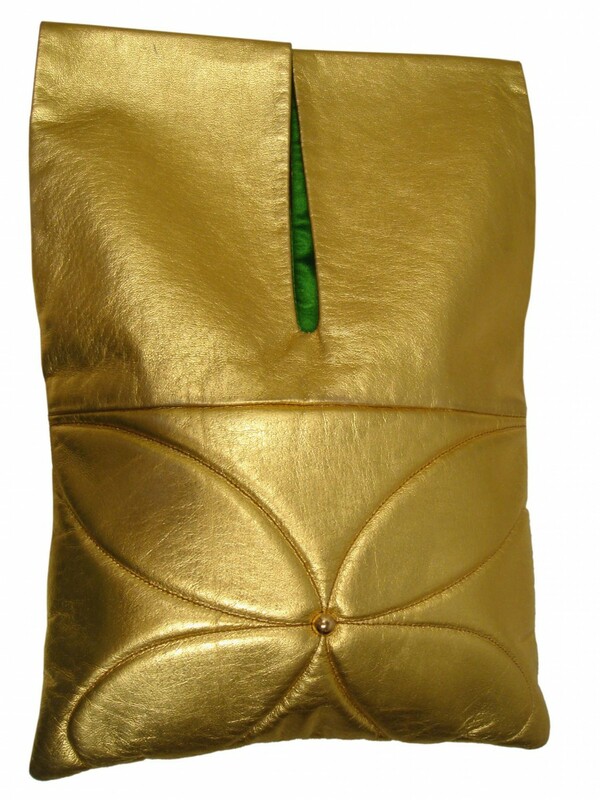 It has as lightly padded butterfly area adding another texture to this light and versatile bag. 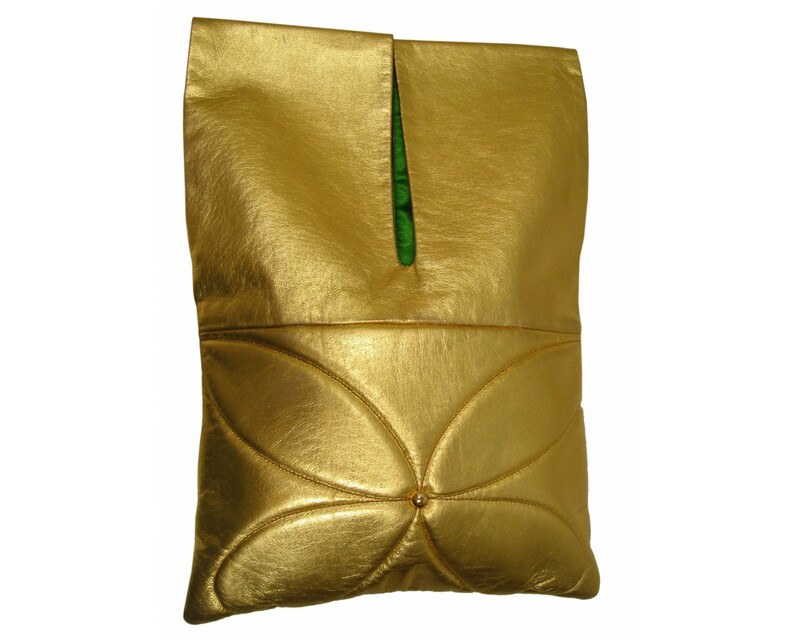 It is made from the finest leather and has a glamorous yellow or green satin lining with a convenient slip pocket. 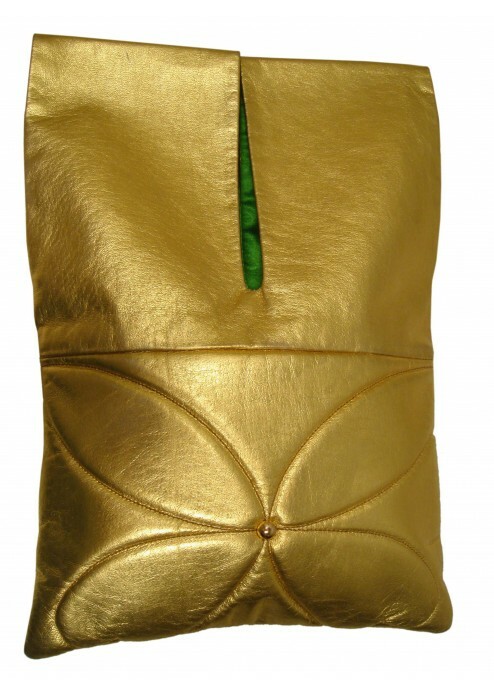 It is 36cms x 26cms and comes with a 100% cotton canvas de Roemer dust bag.